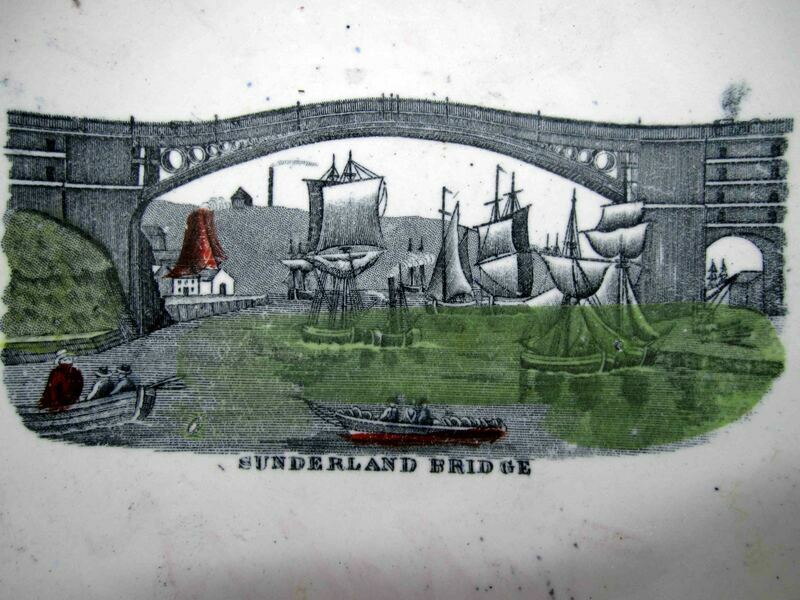 This is one of the few relatively common views of the bridge not recorded in Baker. 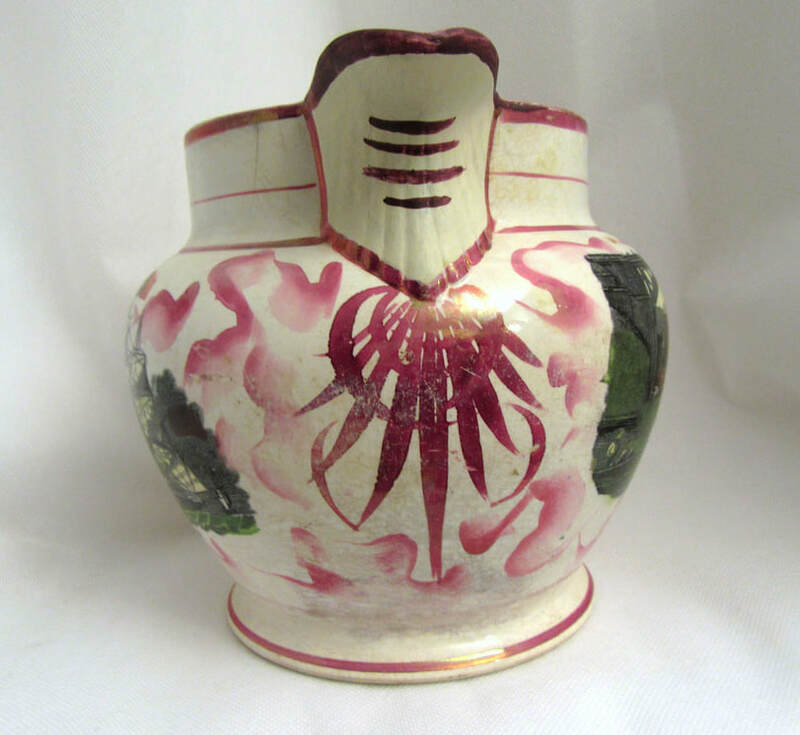 These photos courtesy of the United Collections website. 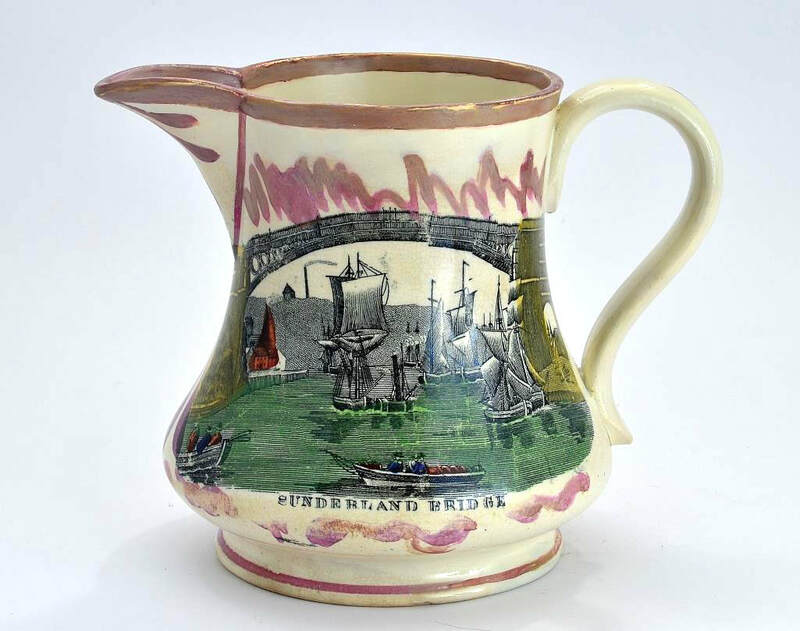 The small jug below with typical Garrison lustre decoration from c1855. This transfer, found on impressed Moore items, is almost identical to the one above. 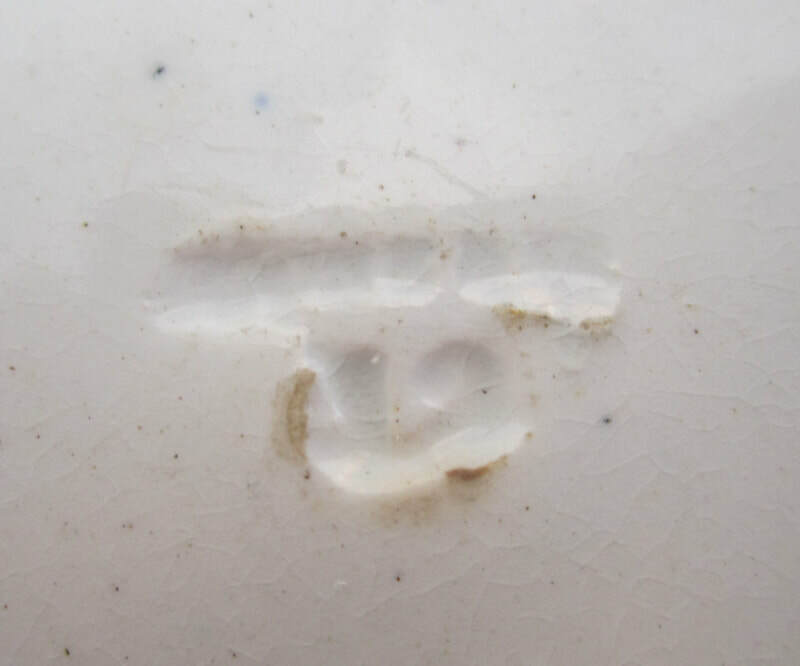 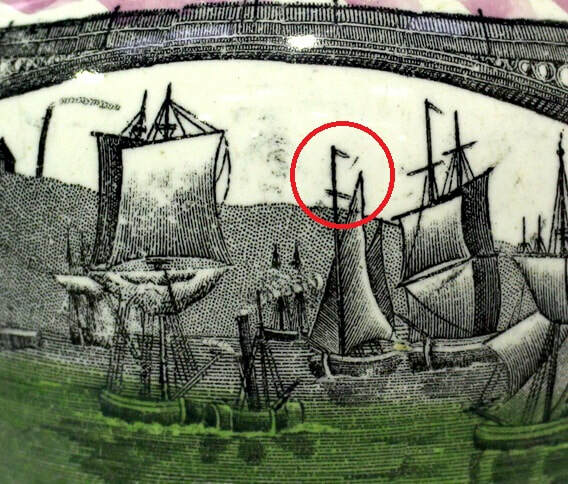 It is possible that the transfer plate moved to Moore's in 1865 when the Garrison Pottery closed. 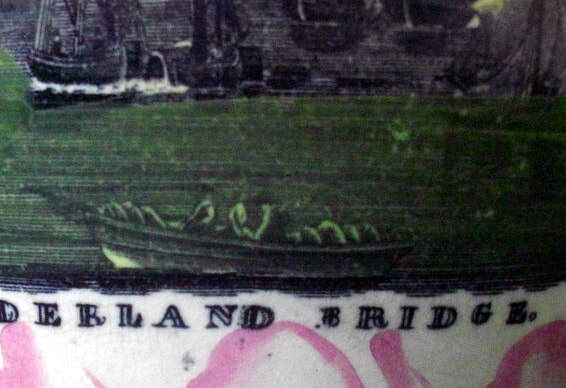 There is no full stop after the title. Also, the mast is different on the ship beneath the centre of the bridge (indicated in red in the centre detail below). 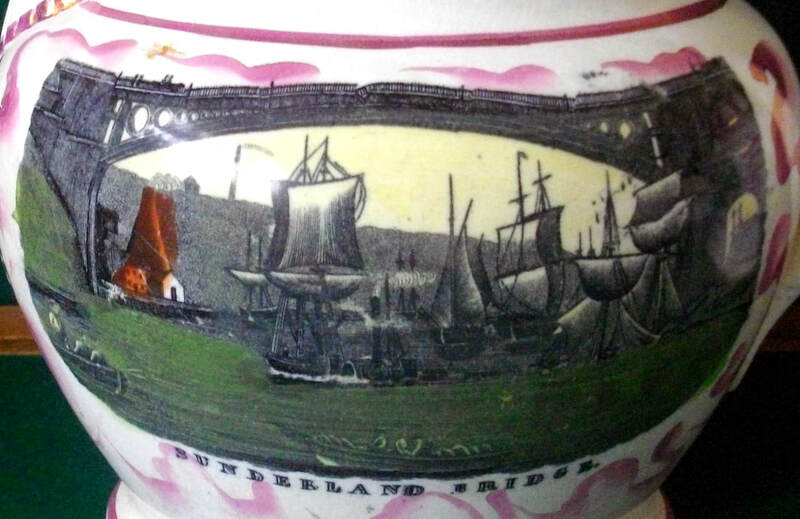 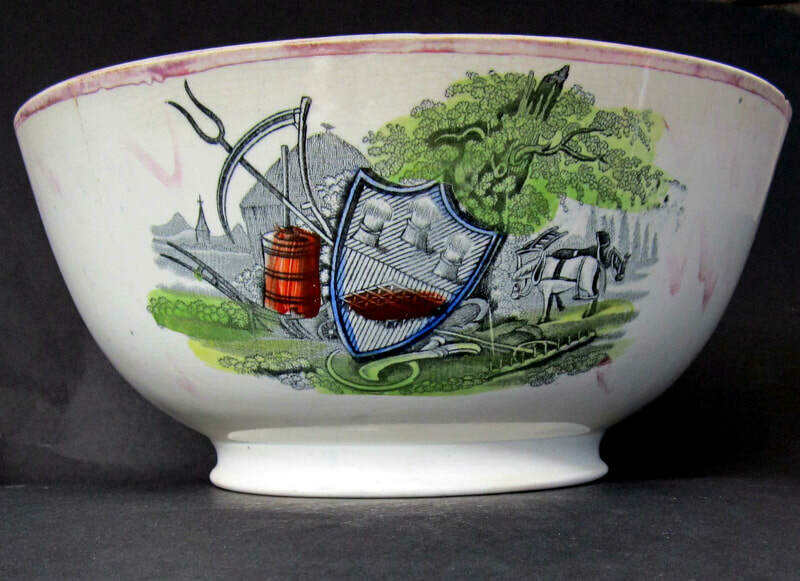 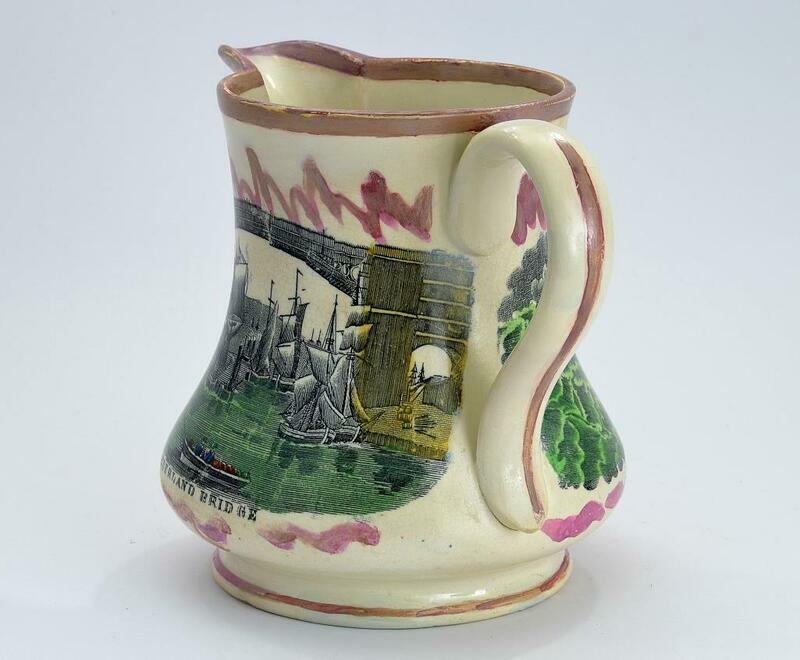 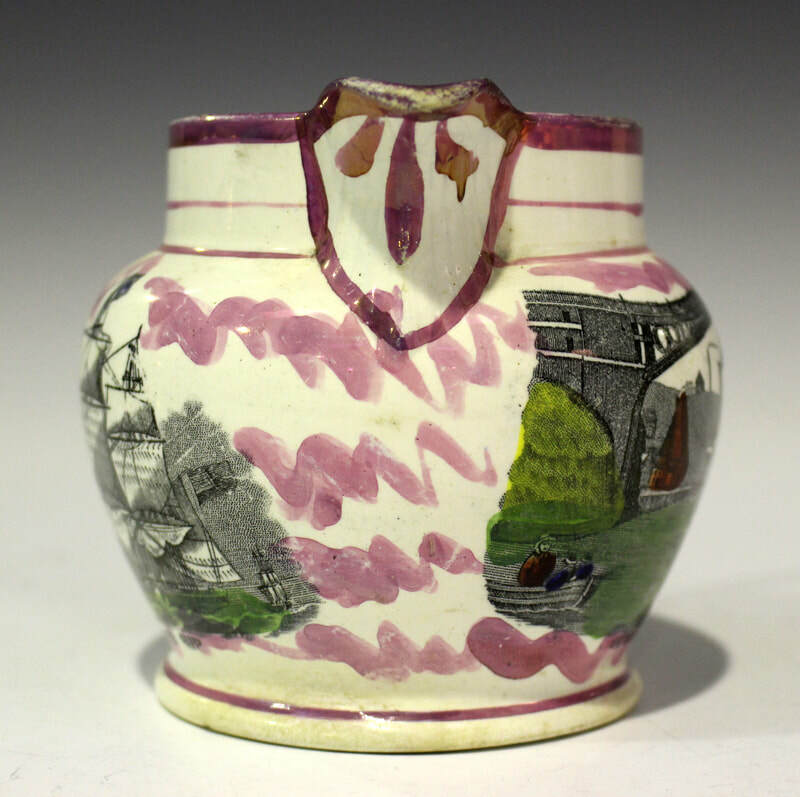 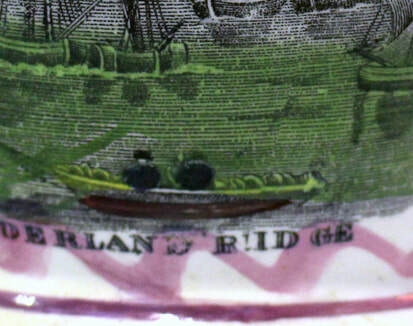 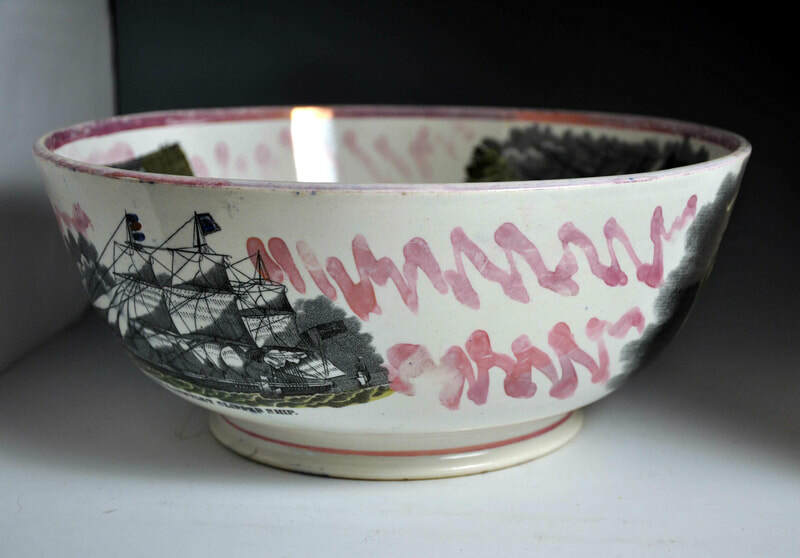 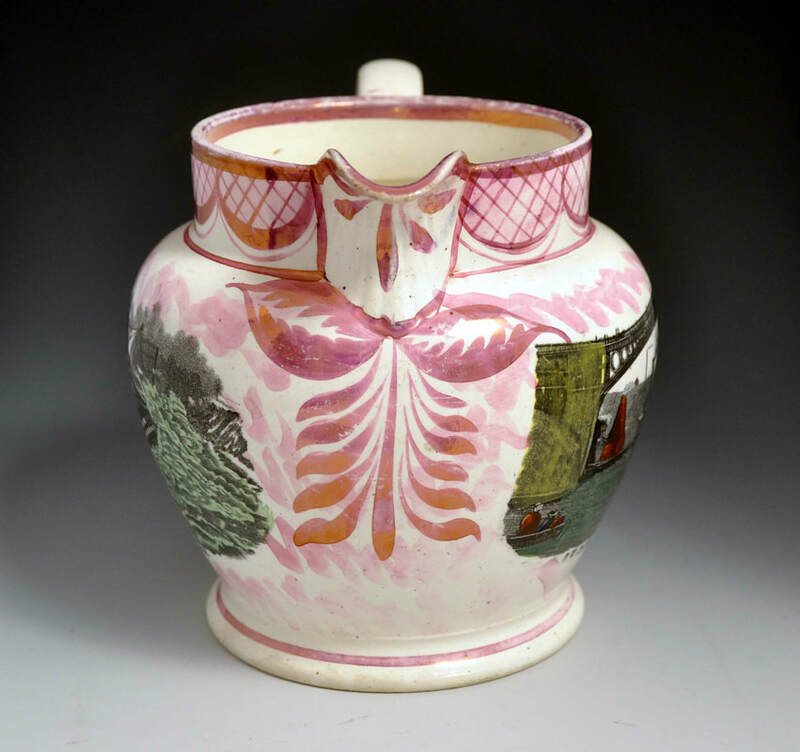 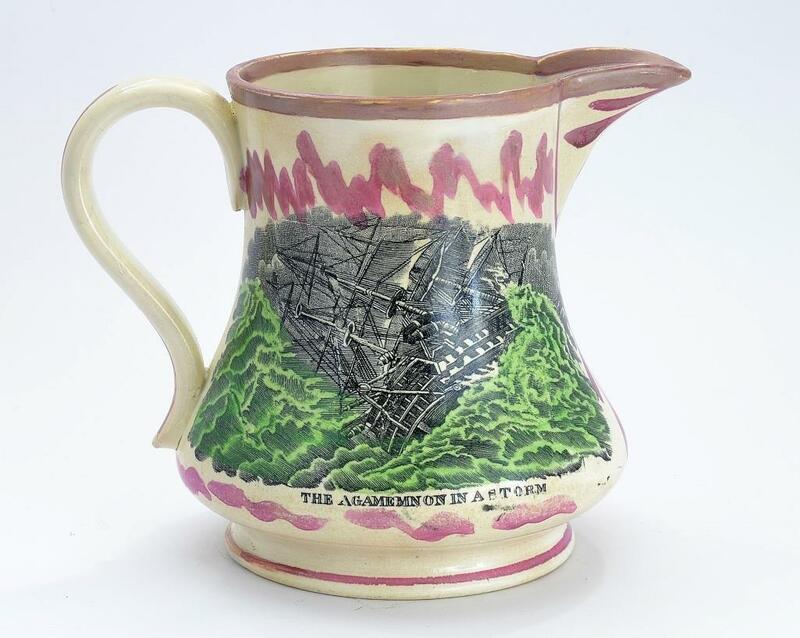 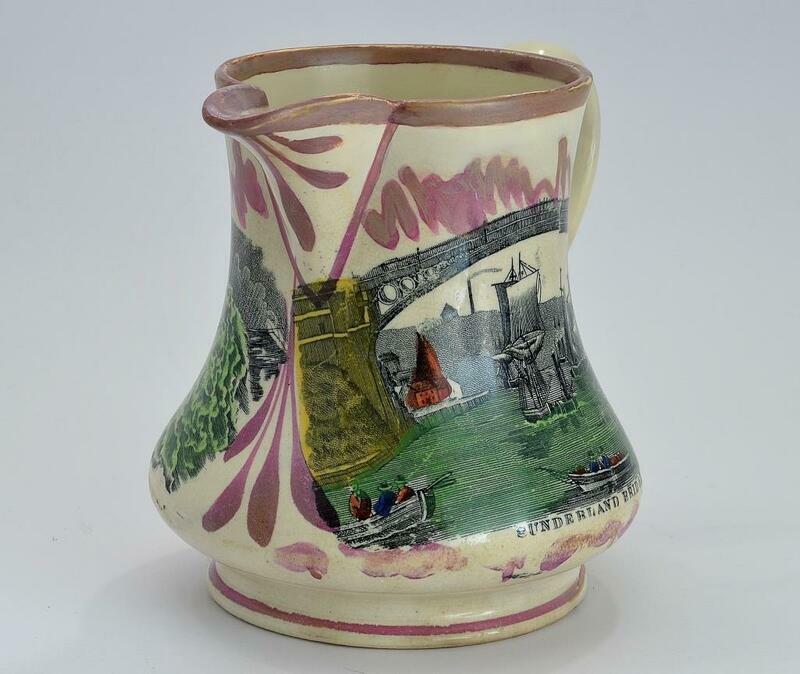 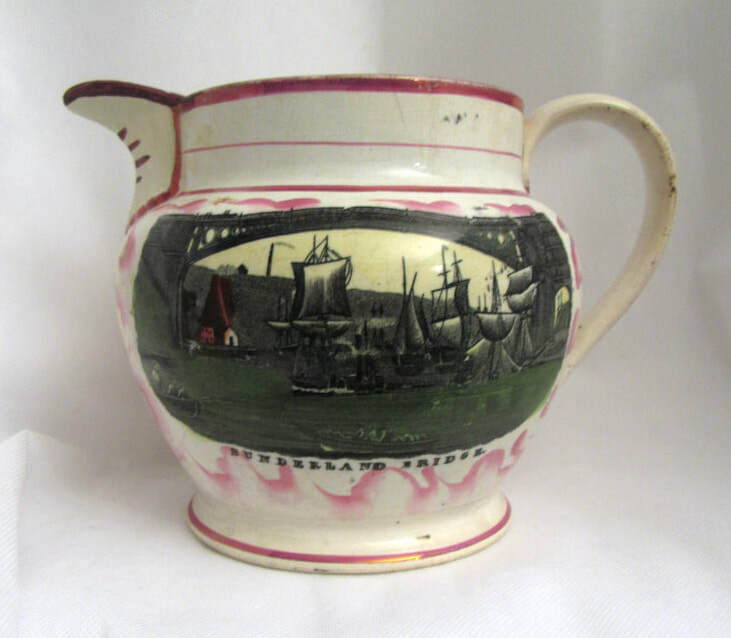 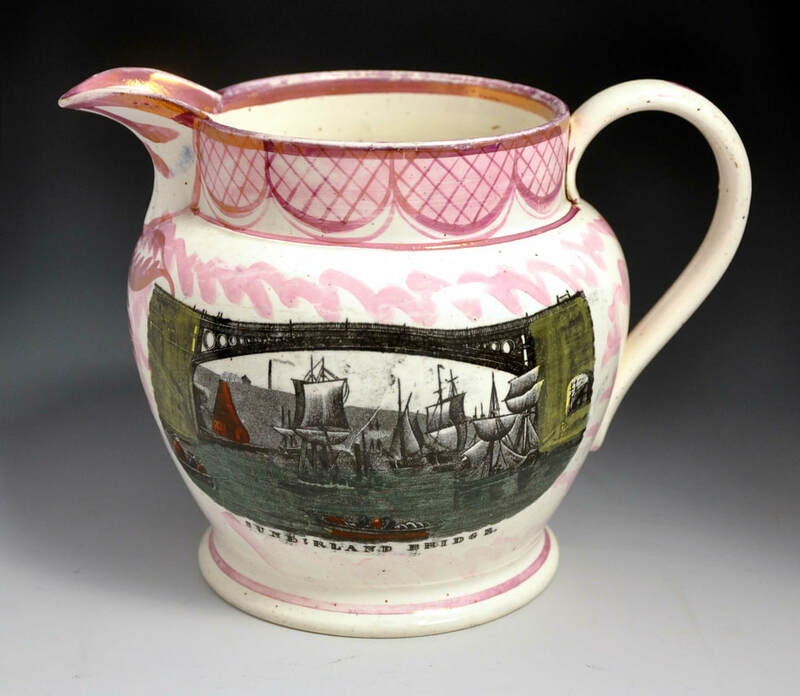 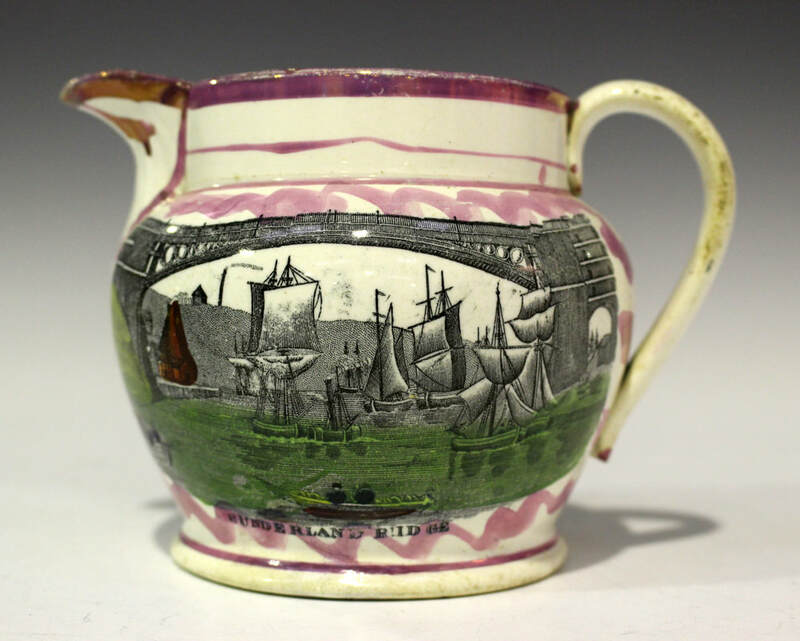 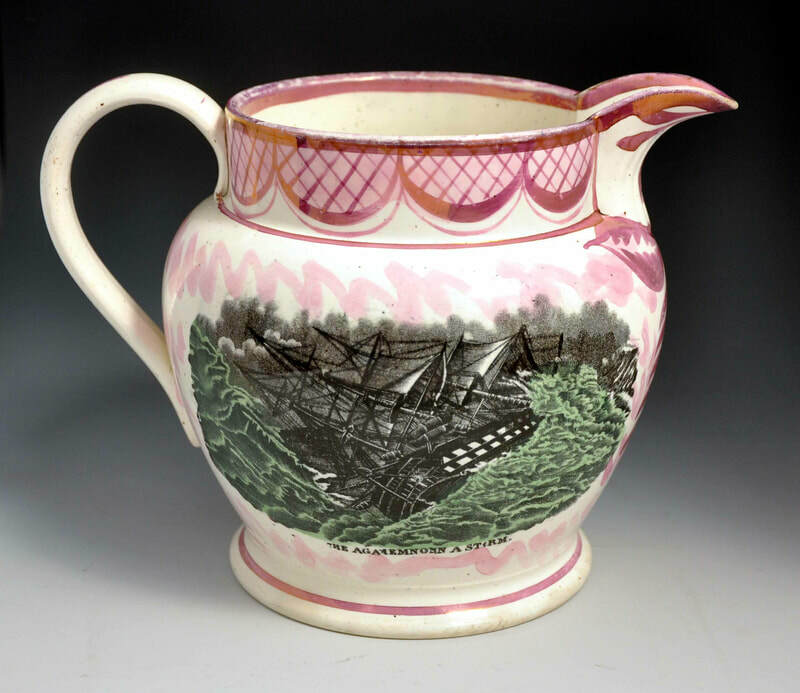 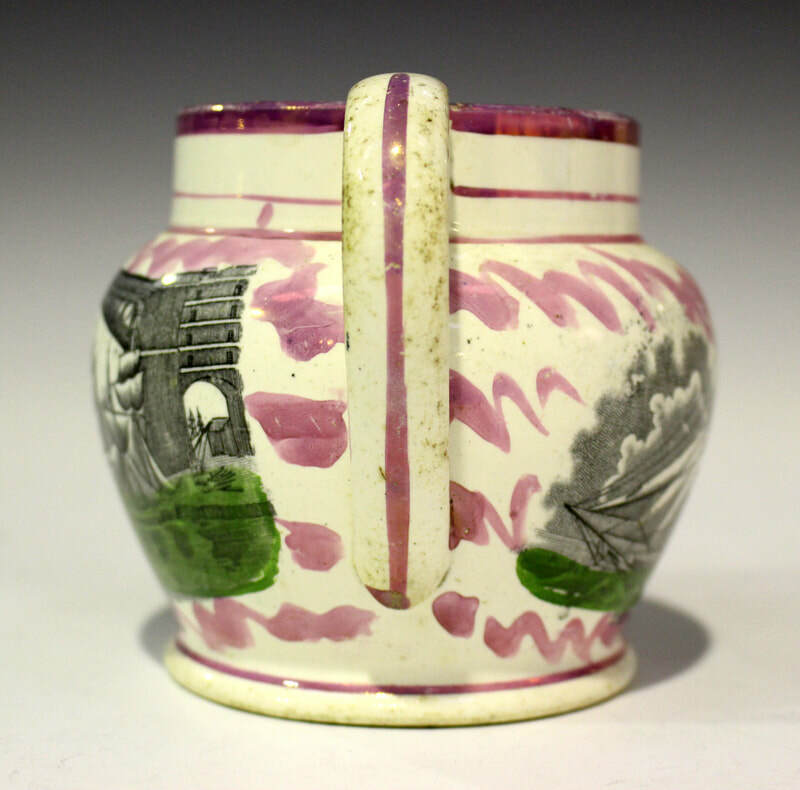 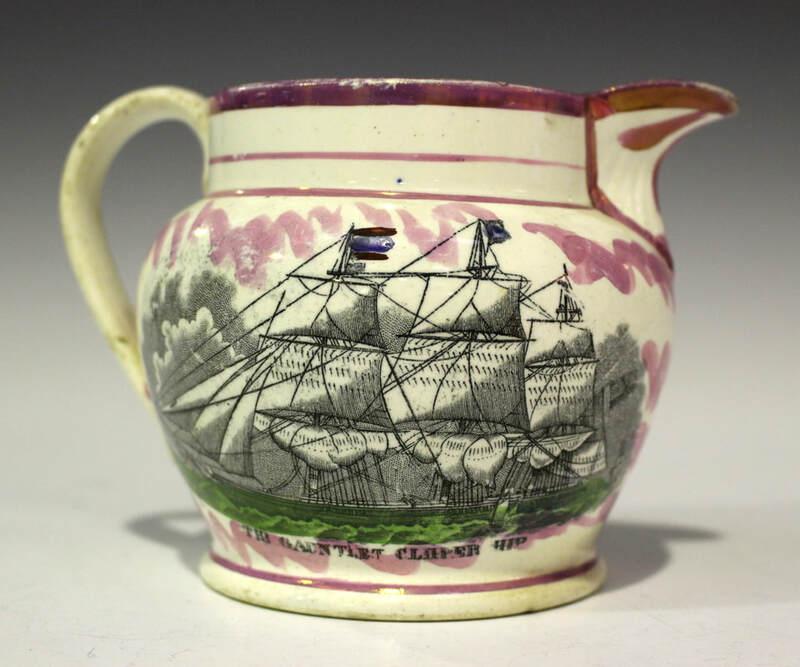 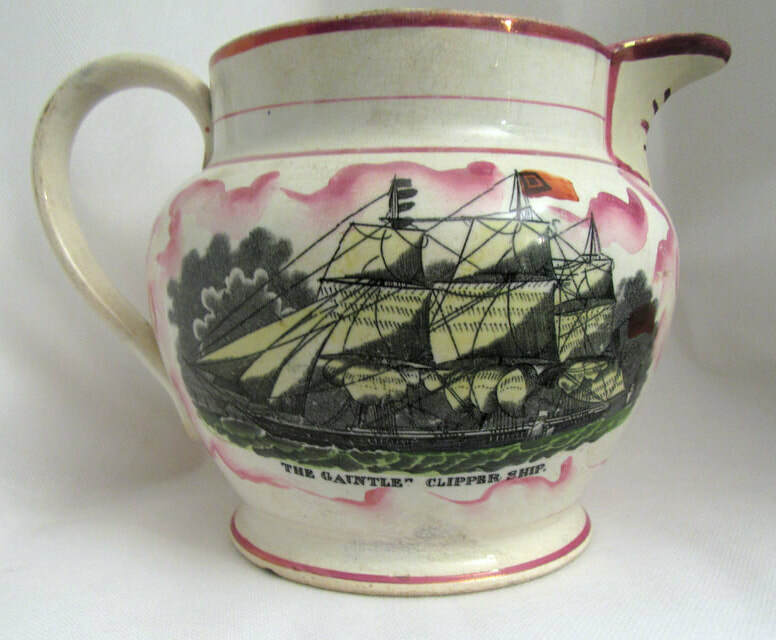 The transfer appears on the distinctive Moore jug below with zig-zag lustre decoration. 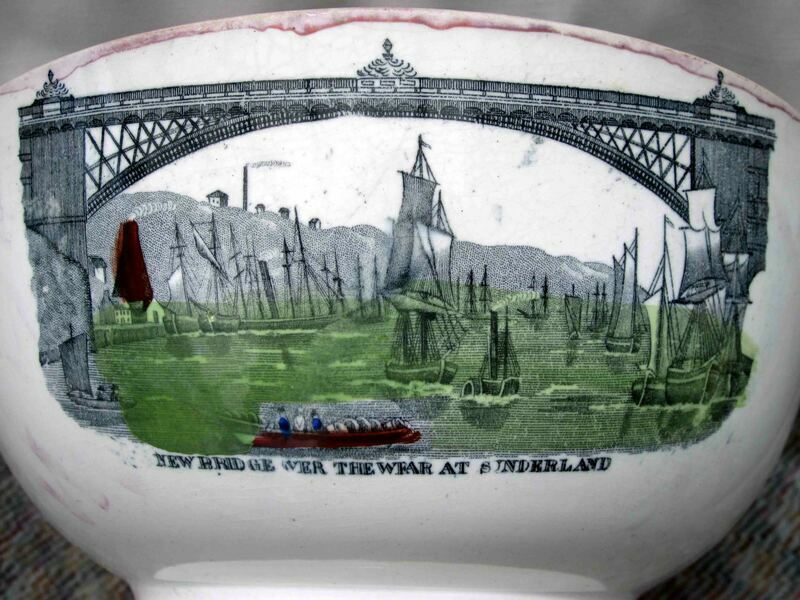 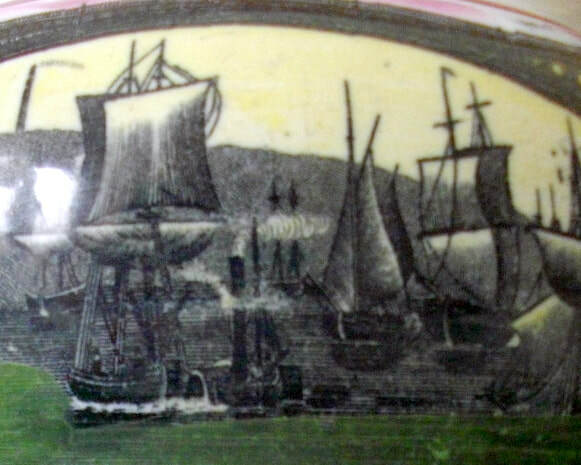 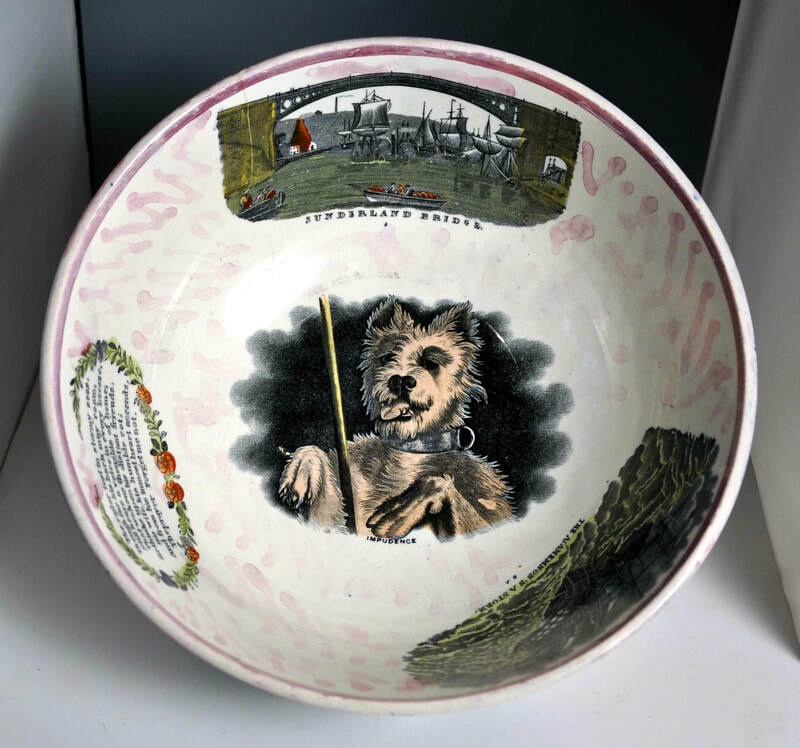 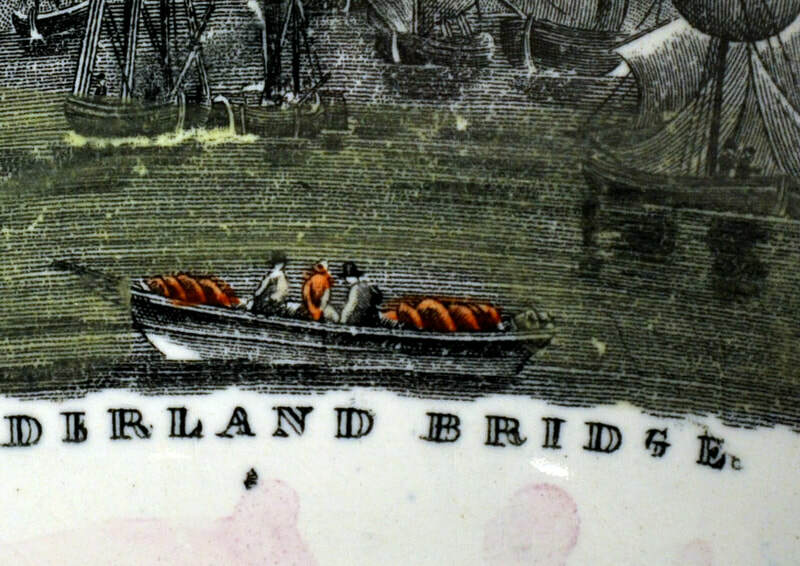 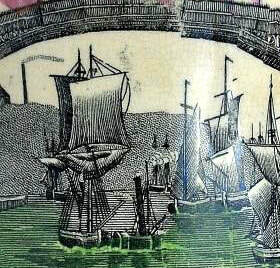 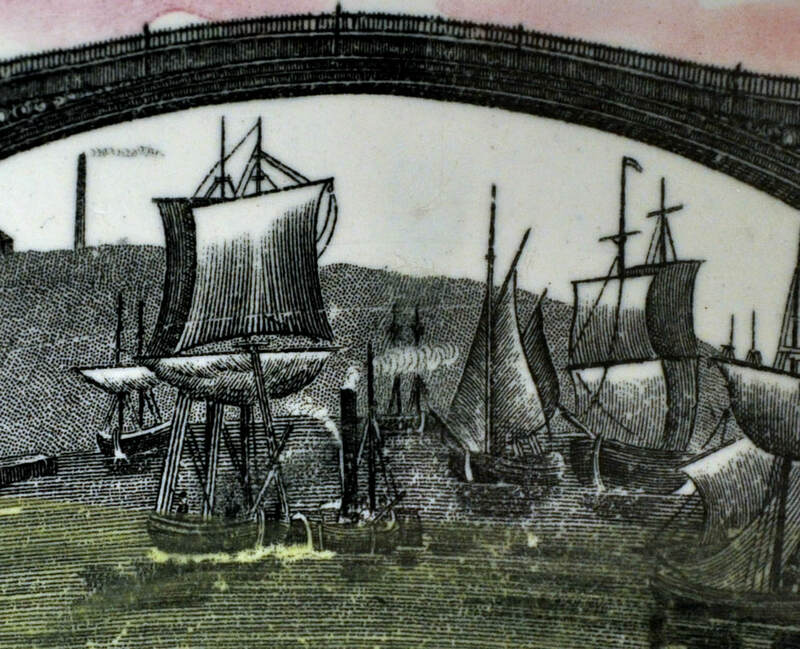 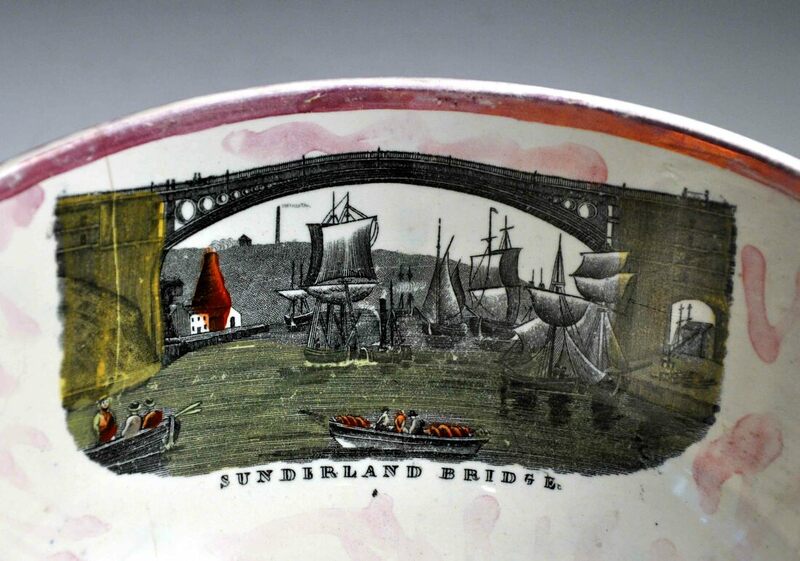 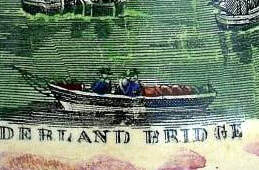 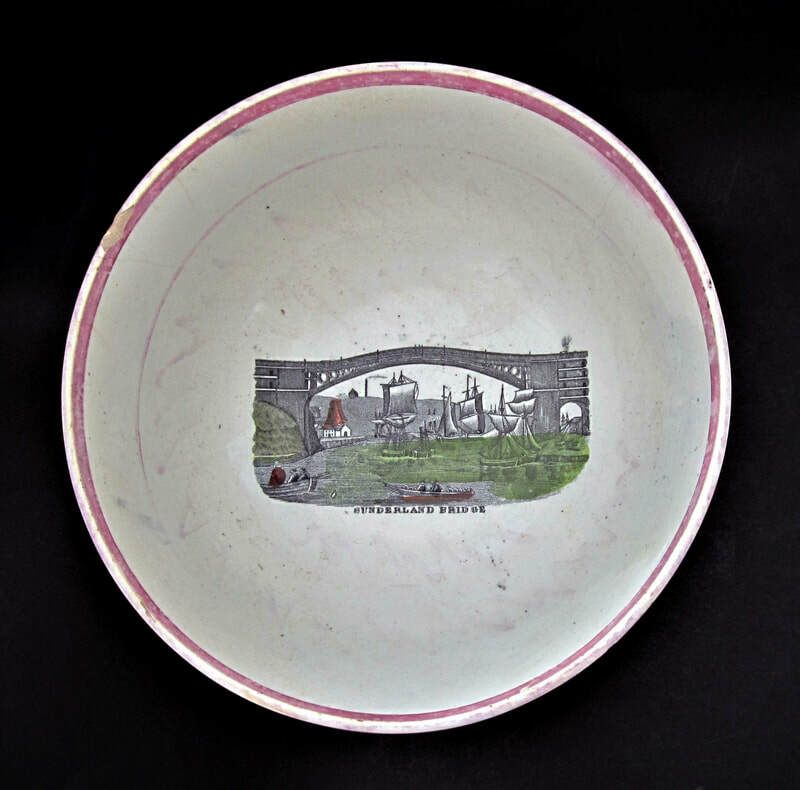 The transfer appears on items paired with the New Bridge opened in 1859. 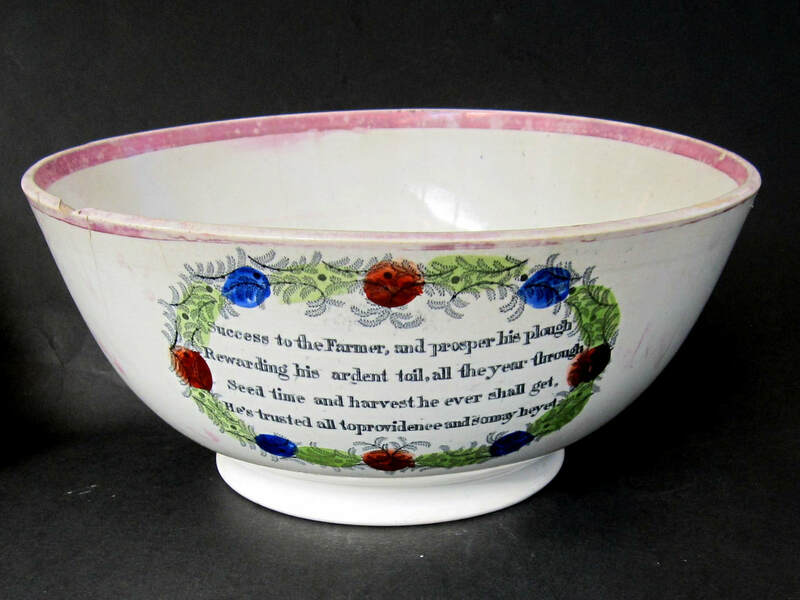 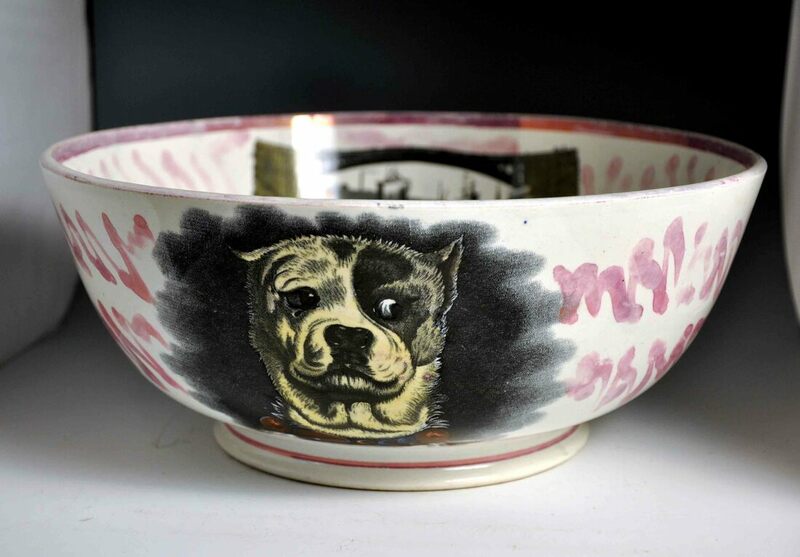 The bowl below has an indistinct Moore impress.